The ski town kicked you out--probably because it's a ski town and not a snowboard town--but you couldn't be happier riding the resort in the O'Neill Men's Exile Jacket anyway. 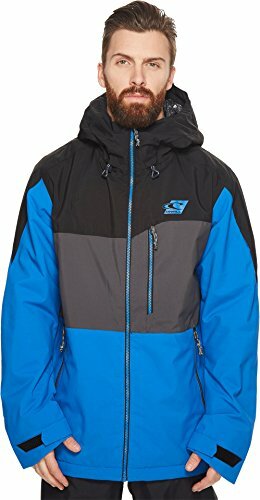 This jacket's HyperDry membrane sheds the snow that prejudiced skiers spray against you, and taped critical seams prevent snow from seeping through the usual places. Firewall insulation adds warmth that's more than welcoming whether you're riding winter or spring conditions.